Hi loves! How are you doing? Everything alright? I sure hope so :-). 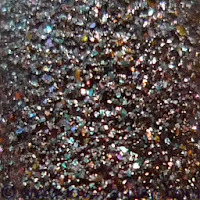 Today I am giving you a closer look at one of the new P2 Sand Style polishes. I already showed it yesterday in my watermarble manicure but today it's all about this textured beauty! P2 is a budget brand available in Germany and Austria, and they really have some great polishes! Earlier this year they released 6 Sand Style polishes, of which now Illegal (red) and Confidential (OPI Alcatraz Rocks dupe) are discontinued. They released 5 new shades too and this is one of them. P2 Classy has a black cap which indicates it should be a black texture. On the nails it turns out more charcoal, also because of the gorgeous multicolored sparkles. I spy copper, blue and pink as the main sparkle colors but there might be more in there. The application is great, I needed 2 thin coats, though 3 wouldn't have been overdone. I like applying my coats as thin as possible and let them dry properly in between to get the best texture effect. You don't wear topcoat over these because you would nee a lot of it and loose the finish. The texture is gritty but not sharp and I do notice at the second day of wear the finish feels a bit smoother, the texture does wear down a bit. They don't chip fast! Also, if you want to see it in action, check this video! What do you think about this one? Curious about the others I bought? *. * que Bonito o tom desse esmaltye, acho muito lindo esse efeito! Die glitter die erin zit is wel erg mooi! I love all the different colors in there! Ahh, I love it! This is beautiful! I love the sparkles of colours in it. Love it, love the sand textures...did you say more? Aww. I've seen some preview pics some days ago and I thought I didn't need them. And now you're making me change my mind with this one. 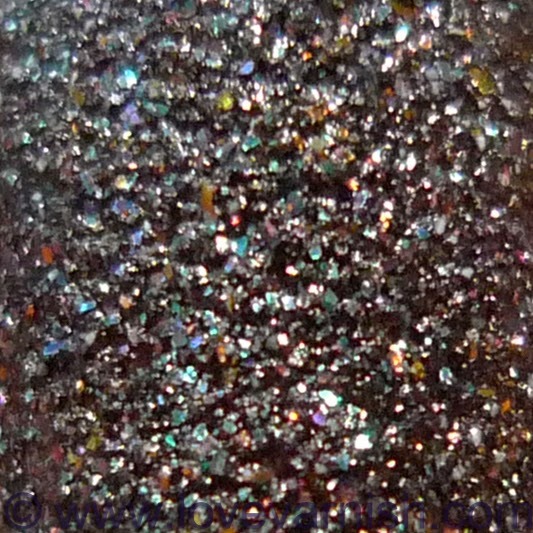 my goodness, why is P2 doing such amazing sand style nail polishes lately?? ME WANTS! Thanks, I guess ;)? Also, please don't add your link to your comment, It is already visible when I click your name :). :D glad I grabbed it for you too then ;-). Just stare at the beauty ♥ ;-). Thanks Nina, glad you do! Haha luckily they aren't expensive.. or are they in Italy? They really hit it out of the park! Beautiful tone that this glaze, I think this very beautiful effect! Aaaah that makes sense :-) thank you so much for the translation!